DESIGNS for the upcoming Qantas pilot training academy next to Toowoomba Wellcamp Airport have been submitted to the council. Wagner Corporation sent in its application last week for the new academy, which was selected by Qantas to be based in Toowoomba earlier this year with much fanfare. According to Precinct Urban Planning's Paul Kelly, the multi-staged development would feature an air and ground training facility, hangar complex, and accommodation and recreation amenities for up to 100 students. "The application by Wagner Corporation for a Qantas Group Pilot Training Academy adjacent the Brisbane West Wellcamp Airport will be the first of its kind for Australia and of great economic and social benefit to the Toowoomba region," Mr Kelly wrote in his planning report. "The development will greatly assist in meeting the global shortage of fully qualified pilots for the air travel industry." The project, based on about three hectares next to the airport, has been broken up in five stages, adding more facilities and accommodation until the entire complex can cater for 840 students. Wagner Corporation also provided reports into noise impacts from the use of the academy's two primary training aircrafts, the Piper Archer (single engine) and Seminole (twin engine). In the report, assessor Wilkinson Murray concluded the sound levels were under acceptable levels and below the level of regular speech. The application was impact-assessable, meaning residents and the community can make submissions which would be taken into consideration during council deliberations. 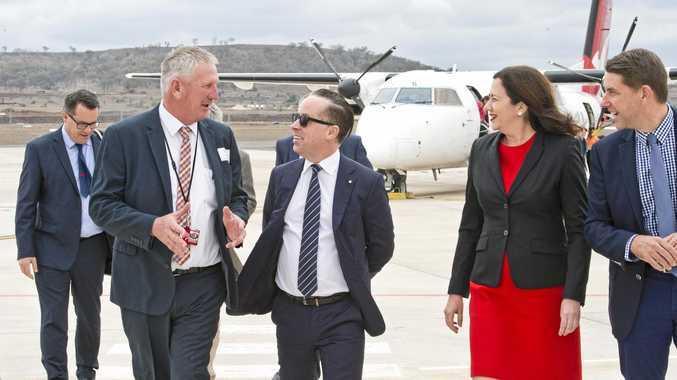 Qantas announced the new academy in late September, with CEO Alan Joyce saying Wellcamp Airport was the best choice for it. "It has great facilities and it allows us to have the hanger, student accommodation and training rooms (constructed) in the period we have to have them done," he said at the time. "It allows us to have an airport that has clear skies for over 300 days a year, making it a very attractive location for trainers and students."